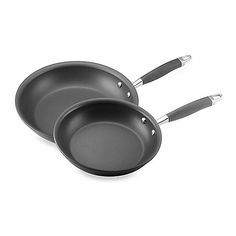 A great value frypan set. Stainless steel outer with non-stick coating and with lipped edge. Silicone handle for easy manovering giving you heat resistance. Thick forged base and suitable for all cooking hobs.